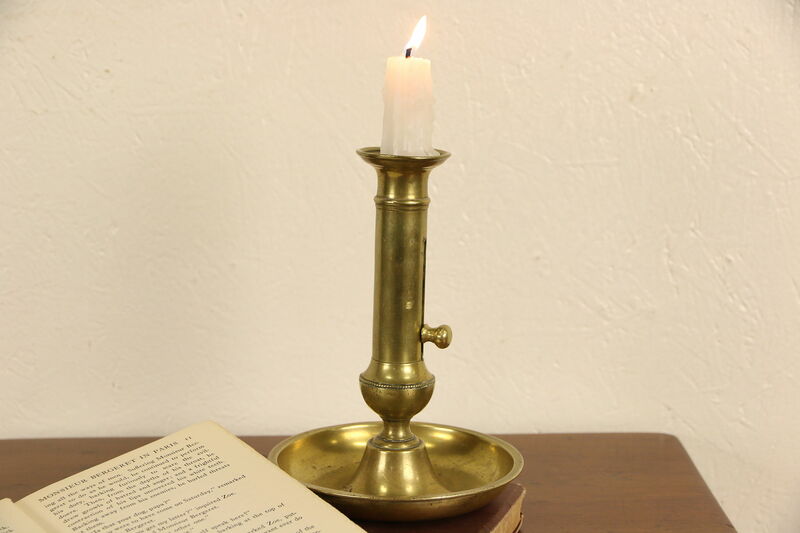 A solid brass chamberstick or candle stick with a pusher was made in England in the mid 1800's. There is fine beading on this antique plus just enough mars and stains for a little character. Size is 5 1/2" diameter and 7" tall.